We were in Victoria Falls, Zimbabwe, when Cecil the Lion was murdered outside his protected home of Hwange National Park. 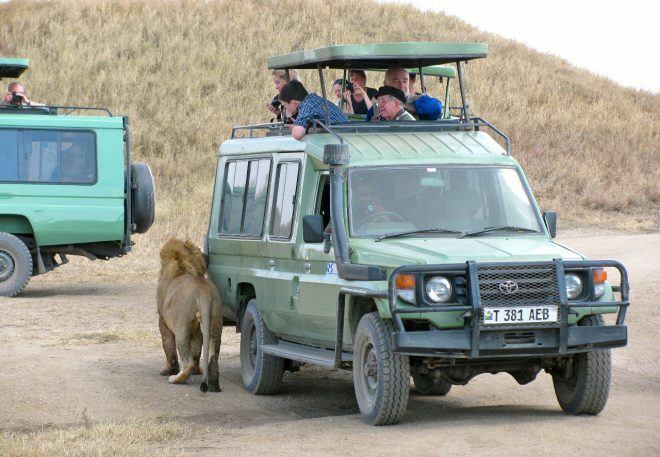 Our visit was part of a 16-day tour, “Splendors of South Africa and Victoria Falls with Botswana,” by Globus Journeys. From Tuesday, June 30, until Thursday, July 2, we stayed at the charming Ilala Lodge near the town centre of Victoria Falls. During that time, our activities included cruising the Zambezi River at sunset, hiking the 2-mile pathway along Victoria Falls, and engaging with young lions at the African Lion Encounter Rehabilitation outpost. One of us (me) took a helicopter ride above the waterfalls. Hwange National Park is about a two-hour from where we were. We did not learn of Cecil’s horrendous torture and death by Walter Palmer, a dentist from Bloomington, Minnesota, until after we returned home to Chicago. What we DID know–within hours of arriving at Victoria Falls–was there was a heralded lion in the area. Cecil’s photograph is everywhere: on t-shirts, posters, shop windows and street signs. Large maps, noting the locations of his recent whereabouts and the dates and times, were posted prominently. The big cat was very recognizable from others because of his rare black mane. So, for any professional guide or experienced hunter, like those who killed Cecil, to claim he did not know about a special lion is an absolute lie. We were just short-term visitors to a far-off world, experiencing a few of its non-predatory natural wonders, and WE knew. They did, too, and they deliberately targeted Cecil the Lion. Hanging out with two 14-month-old lion cubs at Lion Encounter in Zimbabwe. Thanks for sharing that information about Cecil being so well-known there. The American media left that part out of the story. Shame on them!